Those of you who regularly follow me know that while I love fashionable and trendy ensembles, I also LOVE vintage and all things thrifty! OMG… when I saw this cloak on Instagram I knew that I had to have it!! Thanks to @angelsvintageboutique for shipping this to me right away! This cloak had a heavy price tag, but it was worth every penny! It is a very heavy cloak, warm and fashionable. 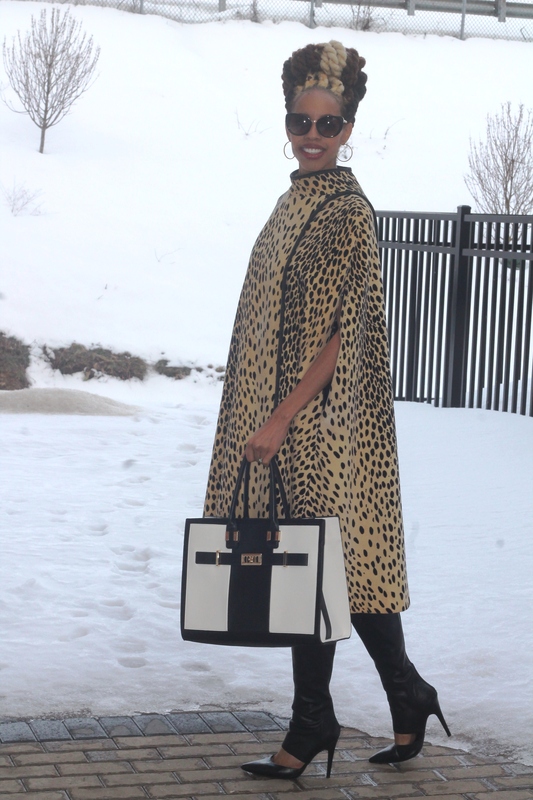 The leopard print design was what truly catch my eye… I could not let this slip out of my hands! 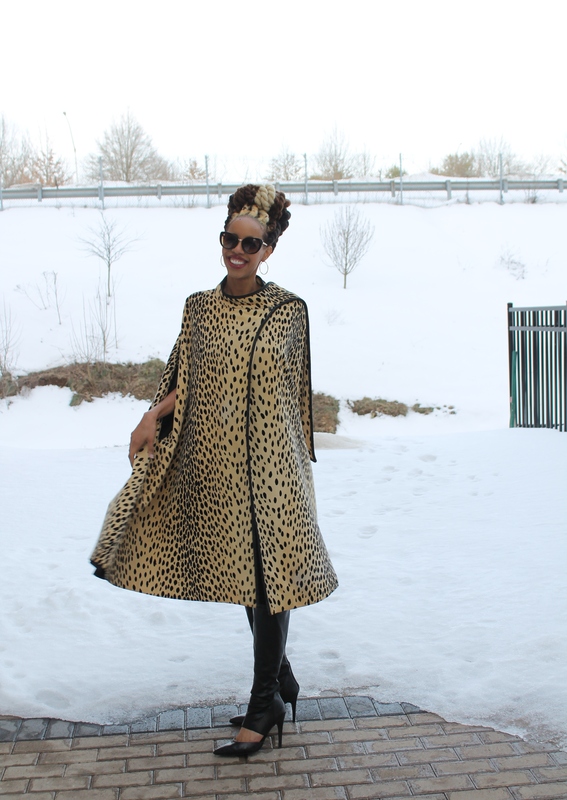 This covering made me feel like the queen of the snow and winter! LOL. This is not an item from my closet that I would ever resale… Stay tuned folks, you have not seen the last of this beauty! 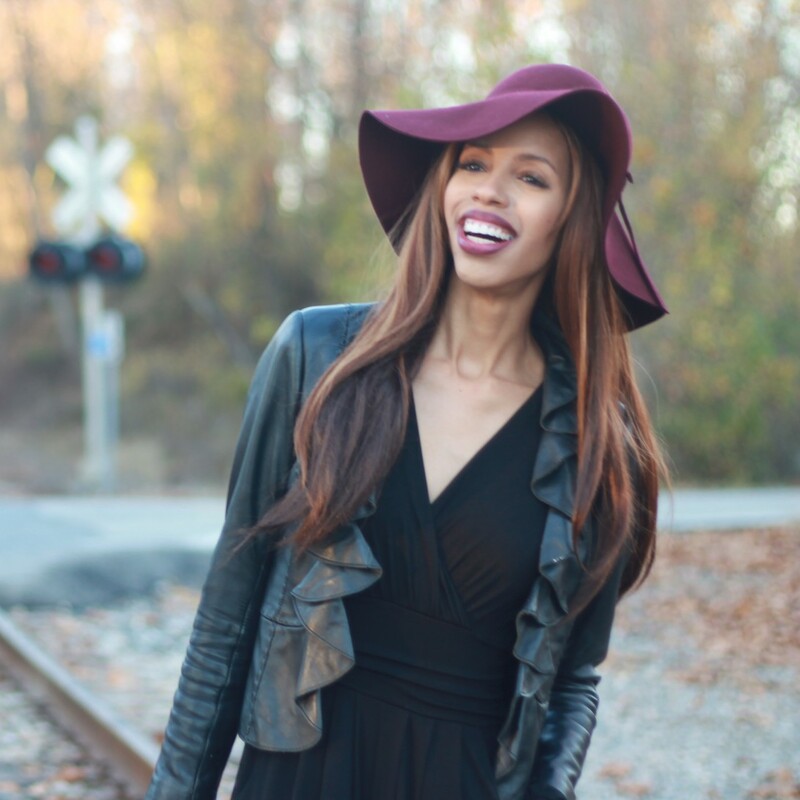 Do you have a vintage or thrifted item in your closet that you would not resale? I love your boots. They are fantastic!!! 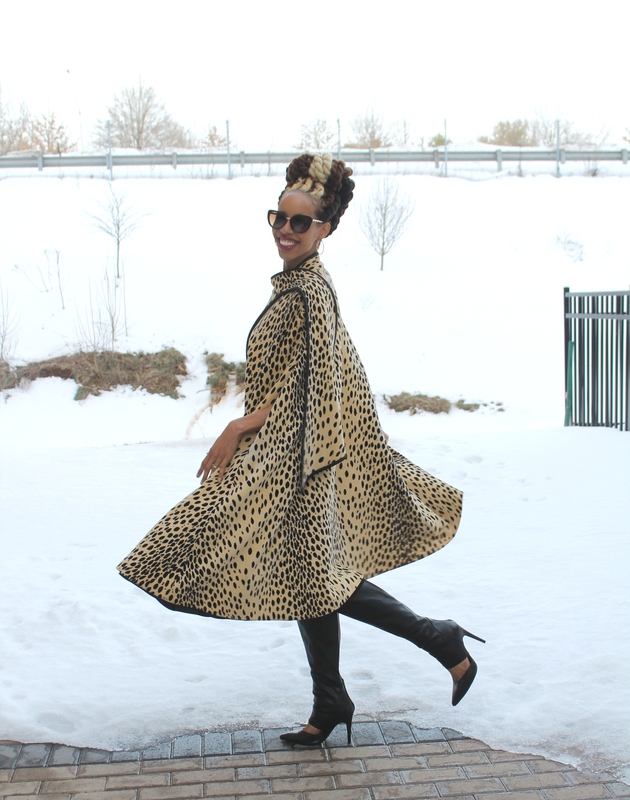 This entry was posted on February 16, 2016 by LaQuisha Hall in All Dressed Up, Brand Ambassador, Francesca's, Natural Hair Flair, OOTD, Shoe Dazzle, Thriftanista and tagged fashion, fashionista, natural hair, ShoeDazzle, style, thrifted, vintage.